After intense training and gym sessions your muscles need protein to maintain and grow. Protein plus sports milk made from 90% skimmed milk, gives you high quality protein, tastes delicious and comes in a handy PET bottle which is easy to transport. Read product label before use. Consume immediately after sport. For the best results consume half the drink immediately after training and the remainder 3-4 hours later. Refrigerate in between. Include 1 bottle per day as part of a varied and balanced diet and a healthy lifestyle. Caution: Keep out of reach of children. Do not exceed recommended daily intake. Food supplements should not be used as a substitute for a varied and balanced diet and a healthy lifestyle. Skimmed milk (90 %), Milk protein (8 %), flavouring, Stabiliser (carrageenan), Sweetener (sucralose), Colour (riboflavin). 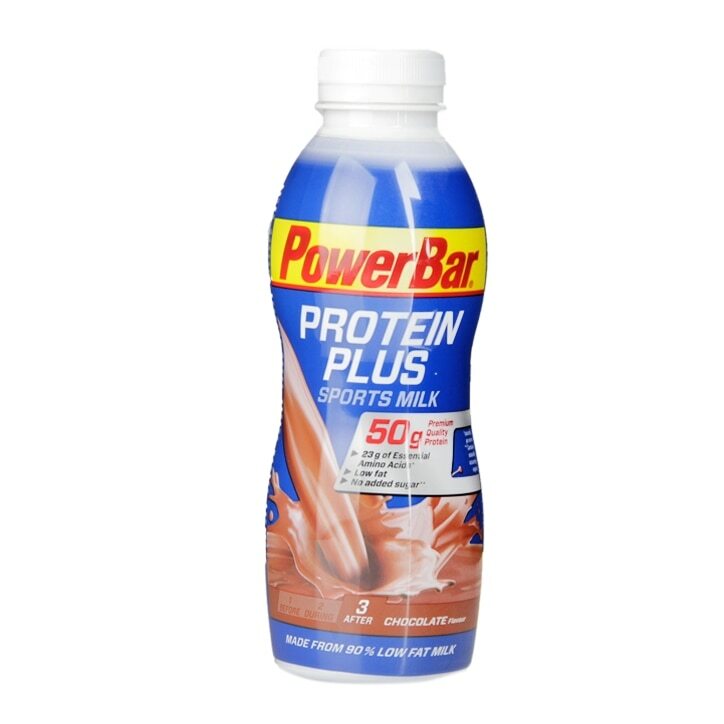 Powerbar Protein Plus Sports Milk Chocolate is rated 4.0 out of 5 by 1.